When you manage commercial vehicles you need to use all the tools at your disposal to ensure that you can monitor, track, avoid theft and recover your vehicle(s) whenever necessary. GPS tracking devices give you these five major capabilities and more when you install them in your commercial vehicles and machinery. GPS tracking devices that are installed in commercial vehicles can track the location of each vehicle when they are out in the field. This means the fleet operator does not need to call each driver to find out where they are or find out why they are late for a particular customer. Calling drivers to obtain their location is an unnecessary distraction for them and is also wasteful in head office management time. It’s a big gain to productivity to be able to view all your vehicles on a map (like Google or Bing’s mapping services) in real-time. Knowing the exact location of your commercial vehicle allows you to provide the GPS coordinates to the local authorities who will be able to recover your commercial vehicle and reduce your losses due to the theft. When you install GPS tracking devices in your commercial vehicles you will have the ability to remotely disable your vehicle or machinery if it is being used in an unapproved manner. The remote disable capability can shut off the vehicle ignition and will not allow the vehicle to be driven by any else stopping theft and misuse until you can arrive at your vehicle and secure it or recover it in the event of theft. You cannot always be onsite to track your commercial vehicles or machinery but with geofencing alerts you can be virtually present and receive an alert automatically if your vehicle or machinery moves from a specified location. 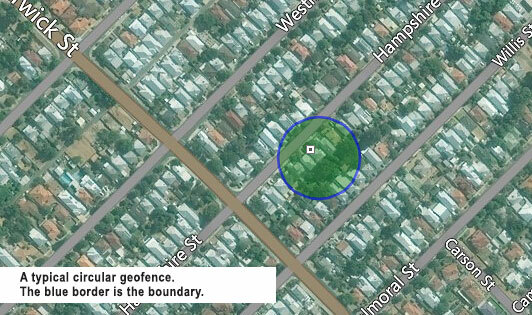 When you use the geofencing feature on your GPS tracking device you can create a virtual electronic fence that tracks your commercial vehicle or machinery’s location and sends you an alert if they move from a specified perimeter. The fourth benefit that GPS tracking devices provide is allowing you to remotely activate the alarm in the event of a theft. The remote alarm activation feature notifies people in the area that the vehicle is being stolen and possible deter the thief from stealing the vehicle*. * This mobile phone SMS notification can be set for an ignition on event, or if the vehicle (or machinery) is moved from a set geofence location perimeter. These four GPS tracking device features help you to manage your commercial vehicles and machinery more effectively and stop loss due to theft when they are in the field.